Will Medicare Pay for My Medical Alert System? Most seniors want to stay in their homes, and who can blame them? After spending decades living independently, making your own plans and living life by your rules, no one wants to end up in an assisted living facility, especially if it isn’t absolutely necessary. Not to mention, no family member wants to be the big bad wolf and force grandma to give up all of her things so she can shuffle around in a small apartment surrounded by people she doesn’t know. If you don’t have a lot of extra money to spare on assisted living, your options are even more limited. If grandma can’t live on her own, but you can’t afford assisted living, what are you supposed to do? No matter what your particular situation, there’s no doubt that a medical alert system can provide the perfect solution. After all, they can allow grandma to remain comfortably in her own home! Medical alert systems aren’t always cheap, especially if you have to add additional features, like fall detection, to your plan. You could end up paying hundreds of extra dollars every year. You’d think a life-saving device, like a medical alert system, would be free to those seniors who need it most. Will Medicare pay for my medical alert system? The answer could be yes, but it could be no. Let me tell you what I mean. Did you know that there are different Medicare plans? If you or a loved one is new to the Medicare system, this fact may not be so clear. There is a Part A, Part B, and Part C to Medicare. Part A covers hospital stays while Part B offers medical insurance. 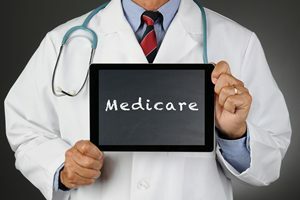 Both Part A and Part B are known as original Medicare and are available to those who are 65 or older, with some special exceptions. Unfortunately, Part A and Part B will not cover the cost of a medical alert system. However, Part C might! The trouble is, Part C comes with a Medicare Advantage plan that must be signed up for separately. If you have Part C, make sure you ask your provider if they will cover the costs of a medical alert system. If you’re searching for a Medicare Advantage plan, see if you can choose one that covers these costs. Not all Medicare Advantage plans will offer reimbursement for a medical alert system. So now what are you supposed to do? If you live on a very low fixed income, you may qualify for both Medicare and Medicaid. Fortunately, because Medicaid was created specifically for those with low incomes, they are more likely to offer medical alert system coverage. However, figuring out if this is the case in your particular situation can be quite complicated. It’s really best to speak with an expert about all of your options, especially since so many of these programs are dependent on where you live. Let’s say neither Medicare nor Medicaid are willing to help you. Don’t give up hope yet! There are still other ways to save on medical alert systems. Have long-term care insurance? Check with them. Have another service provider? Check with them! If it means saving hundreds of dollars each year on the cost of a medical alert system, it’s definitely worth your time to ask every single insurance provider, no matter how irritating they think you are. If your insurance companies won’t help you, contact the National Association of Area Agencies on Aging. With local branches all over the country, they may be able to provide you with information on local programs that offer assistance to seniors who want help paying for their medical alert system. Still no luck? Browse the benefits offered by a wide variety of medical alert systems very carefully. If you keep your eyes peeled, you may be able to find one that fits within your budget, especially if you get signed up for a plan when a provider is offering a special deal or discount. We want to help you save too! We review several medical alert systems on our website to help you save time hunting down all the best systems at the best price on your own. One of our favorites offers a free online risk-assessment to help you identify your risk of experiencing a fall and then matches that risk level with their best medical alert system for your lifestyle.